New graphics on new colour. Thai Yamaha Motor Company has unveiled a matte grey Yamaha YZF-R3 at the 37th Bangkok International Motor Show (2016 BIMS). There is no change in the motorcycle besides the colour theme. 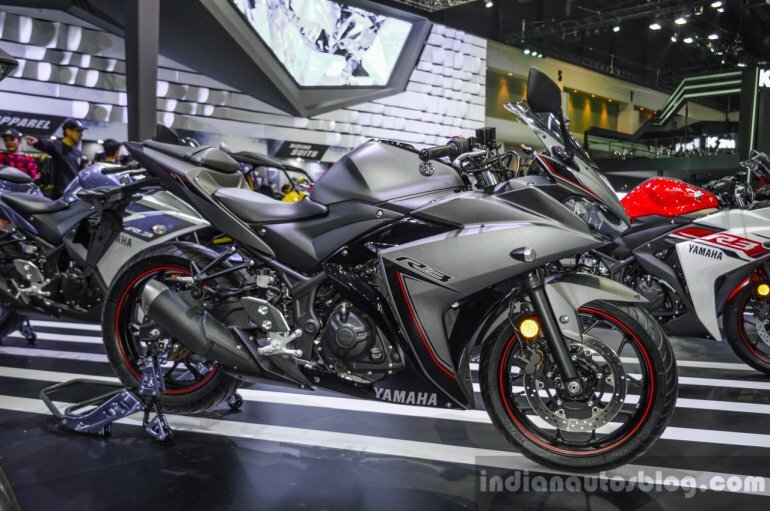 The Yamaha R3 was launched last year in many markets including Thailand and India. It has been available only in three colours - Rapid Red, Race Blue, and Midnight Black. It is unclear if the Matte Grey would be introduced as a standard colour or as a special edition, only in Thailand or in other markets too. There is no special edition marking on the model on display at the BIMS. 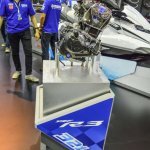 The new colour on the R3 is however presented with new body graphics. 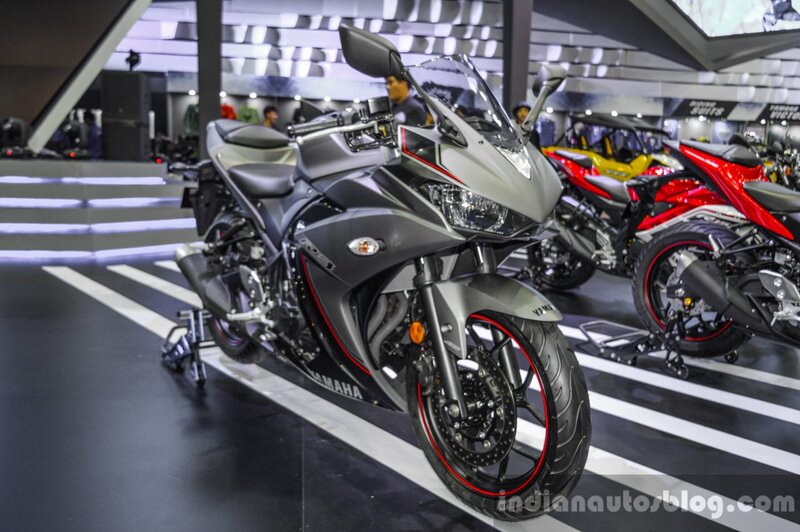 The Yamaha R3 is imported in India as CKD from Indonesia in the same specification as the model on sale in Thailand. The motorcycle is equipped with standard telescopic fork, monoshock at the rear, 298 mm and 220 mm disc brakes at the front and rear respectively, 110/70 and 140/70 bias-ply tyres, and 17-inch alloy wheels. ABS is offered as an option in select countries, not in India. 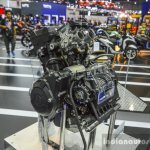 Thai Yamaha also showcased the engine of the R3 and MT-03 at the Bangkok Motor Show. 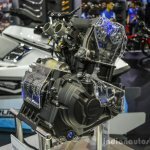 The motor is a 321 cc liquid-cooled inline-twin cylinder FI unit that produces 42 PS at 10,750 rpm and 29.6 Nm at 9,000 rpm. It is mated to a six-speed gearbox.